WESLACO — School district officials here are preparing to make a transition sought by many districts, educators and parents — full-day pre-K. It’s an effort to better prepare the district’s youngest students for the educational demands awaiting them. 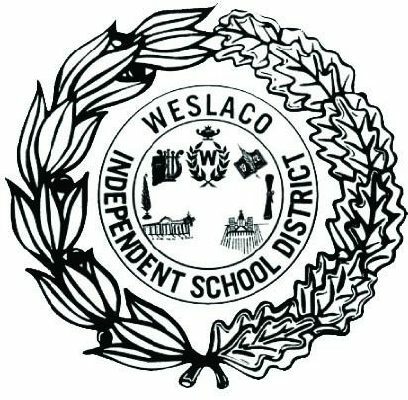 The Weslaco school district board of trustees unanimously approved the move last week, giving administrators the green light to begin planning to implement the full-day program during the 2018-19 academic year. Planning for the change began about a year ago, when the district started holding meetings with parents and other stakeholders to review needs in the district. The need for full-day pre-K became evident as it was one of the most requested changes, said Superintendent Priscilla Canales. “It just seemed like everything just came together over the last couple of months, where we have a bunch of stakeholders saying, ‘This is a need and it’s a priority, so our board unanimously approved it,” Canales said. The district begun exploring ways to fully fund the move, she said, considering the state only funds half-day programs. This is when a recent 2-cent increase to the interest and sinking portion of its tax collections rate, known as I&S, came into play. The district expects to collect an extra $1 million per year after the increase, which will go into funding the added cost. Most school districts resorted to half-day programs after losing $4 million in state funding for full-day programs in 2011. School districts such as Mercedes, La Joya and Edcouch-Elsa have made the move back to full-day pre-K, many times rearranging their budgets to afford the additional cost. The Weslaco school district currently has about 800 students in its half-day program, and for the last three years the district has been placing its own teachers into the Hidalgo County Head Start programs to help provide the curriculum needed for the transition to public schools. There have been observable benefits evident among the children attending the full-time Head Start program, reflected in their smoother transition to kindergarten, district officials stated. “We noticed that the students were going further being that the Head Start program is all day long, so we started saying, ‘Hey we need to go full day with our pre-K students,’” said Janie Peña, executive director for curriculum and instruction. Like at the Head Start program, the district plans to use the extra time to fully incorporate its STREAM model — science, technology, reading, engineering, arts and math — into the pre-K program as well as a focus on social, emotional, creative and intellectual activities. They will begin teaching the 4-year-olds through Project-Based Learning, meaning they will spend about six weeks learning a topic, such as science or engineering, in depth through different activities such as role-playing, building rovers and rockets. Activities that not only entice the students into the subject, but also help build multiple skills. The district plans to begin enrollment earlier than usual next year, starting on Jan. 15, 2018. This will allow them to hire more teachers, if needed, and to allocate space. So far they have seven extra teachers for the program and have resources to double this number if necessary. As for space, they have identified at least two additional classrooms in each school, Canales said. The district will prioritize students based on need, as with most full-day programs, giving those who come from low-income, bilingual and from military families, a lead. Those who don’t qualify for the need-based registration can still be placed on a waiting list, she said.